This is a really fun unique Thanksgiving story. It takes the life of each family member w3ho is coming to Thanksgiving dinner and each Persons page in different prose or verse style. It isn't the same tempo or patternThe one where they couldn't use "S" was one you will want to read over and over...because it is obnoxious! This would be a fun read aloud! Pictures are good..ready to eat some turkey!! 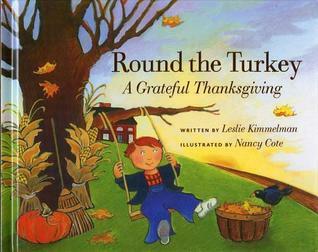 Small poems told from various perspectives around the Thanksgiving table. Each member of the family gives thanks in their own poetic way for whatever they are thankful for. Nice piece of poetry.